The Shofar Factory is a hands-on workshop for the very young and the young at heart. 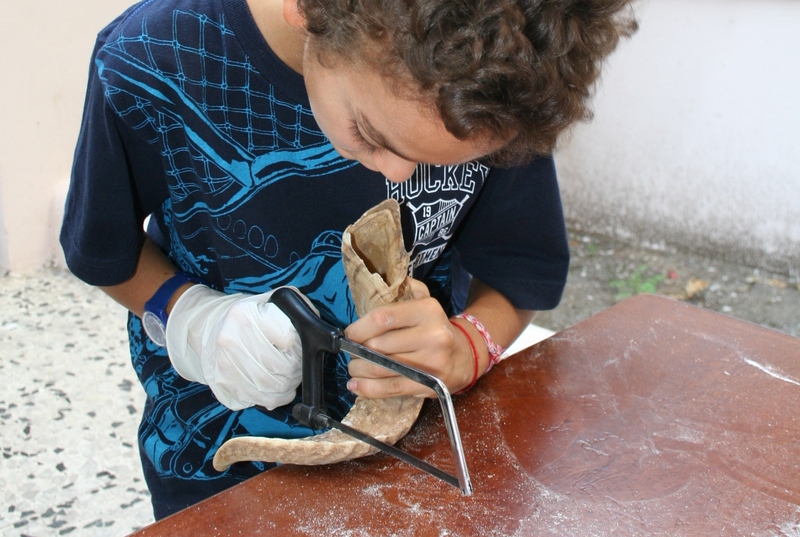 Experienced craftsmen guide children through the step-by-step process of crafting a shofar. Once the work begins, volunteers are called up to separate the shofar from the core, clean and measure the cured horn. Volunteers then saw off the solid end of the shofar and help drill the mouthpiece. The horn is cleared, tested and polished, and the delighted participants learn how to blow the shofar. The Shofar Factory is guaranteed to inspire children and adults about our rich heritage.